A.I. ENTERPRISES PVT. LTD., NO.F 41/A, ANNA NAGAR EAST, OPP. 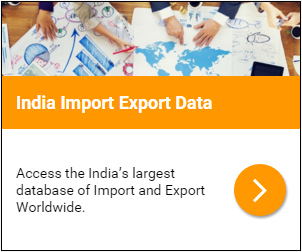 India Importer and Buyer details of A.I. ENTERPRISES PVT. LTD. Product & Service Description of A.I. ENTERPRISES PVT. LTD..
"100% COTTON TWILL FABRICS 21X21/84X68 W57/8"" (81707.2 YDS)"
Identify potential customers to search for untapped markets, and expand their services to importers and exporters. Insight into the target organization's global business activity.A.I. ENTERPRISES PVT. LTD. "100% COTTON TWILL FABRICS 21X21/84X68 W57/8"" (81707.2 YDS)" and Import and export customized information at your fingertips. Global business information that focus on meeting your unique needs. A.I. ENTERPRISES PVT. LTD. "100% COTTON TWILL FABRICS 21X21/84X68 W57/8"" (81707.2 YDS)" and Find Buyers Suppliers of Your Products Global Export Import Shipment Data of India With trade data optimize the supply chain by identifying buyers and suppliers in your industry.A.I. ENTERPRISES PVT. LTD. "100% COTTON TWILL FABRICS 21X21/84X68 W57/8"" (81707.2 YDS)" and .